I was born in Dartmouth, Devon and now live in North Cornwall on the edge of Bodmin Moor. Art and being creative has always been an important part of my life and for the past six years I have been a full time professional artist. I am self taught and love to work in a range of different mediums including mosaic, oil, acrylic and digital art. 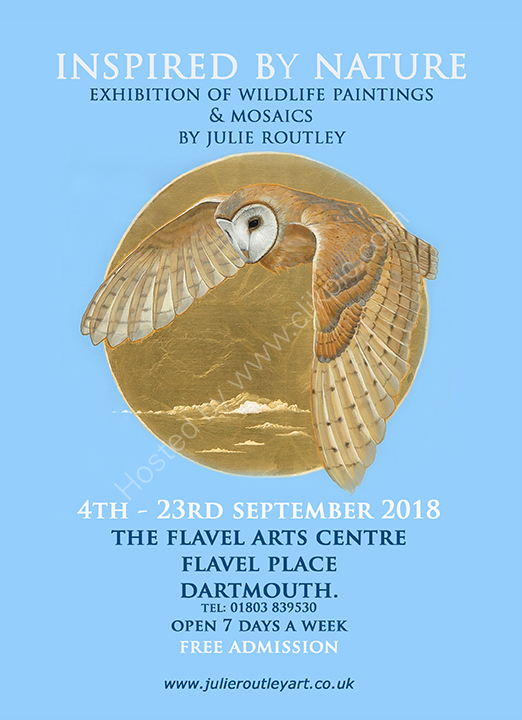 The inspiration for my work comes from the sheer mystery and beauty of the British countryside with the awareness of how delicate and threatened the wildlife and landscape is. With my work I hope to portray the intricate detail and ethereal beauty of each of the subjects in such a way that makes the viewer want to stand for a while, trace the outline of a feather, absorb the colour of a foxes eye and begin to see, maybe for the first time the incredible beauty of the things we all take for granted. I welcome commissions and enquiries and am always happy to discuss your ideas with no obligation.